Find out below about the development of Ireland's architectural styles and periods. These are commonly named after historical monarchs, however the persistence of a style usually spanned a broader date range than the actual reign. Outlined are some broad stylistic movements that influenced the appearance of Ireland's buildings. During the late 17th century and the first decades of the 18th century, the design of fashionable Irish buildings was heavily influenced by a restrained classical style of architecture that had filtered through England from Holland and France over the course of the 17th century. This style become influential following the restoration of King Charles II in 1660, after which Ireland experienced a period of strong economic growth and significant development in towns. This gradually altered Irish street architecture from the prevailing timber-cage and triangular-gabled house styles, while country houses became less fortified and adopted a more conscious architectural expression. The major English architect of this period was Sir Christopher Wren and architecture of this period is often loosely described as being in the ‘Wren-style’ or the ‘Queen Anne-style’, in spite of considerable variation in house types and styles. This was the period when brick became the preferred building material for town houses, and to a lesser extent, country houses. The sliding sash window was also introduced at this time, although it did not supplant the prevailing heavy, mullioned casement window until the early 18th century. 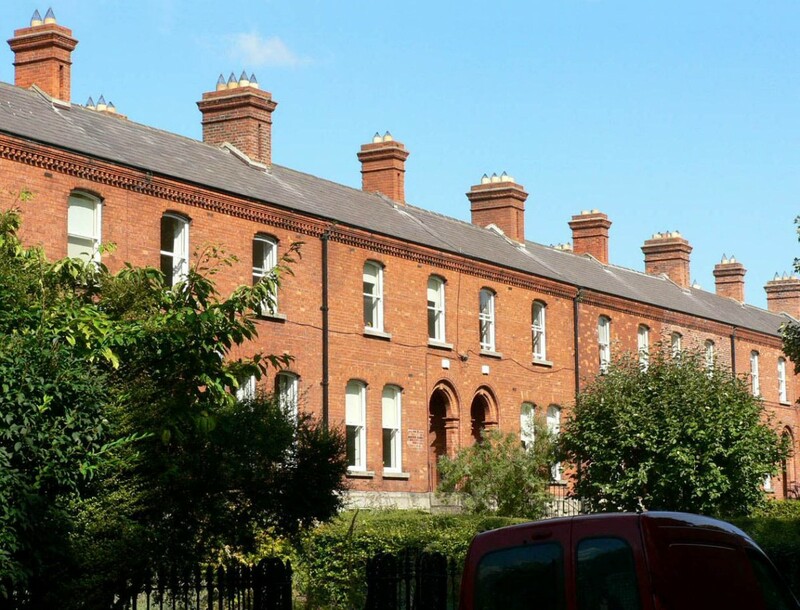 Houses typically had tall, steep roofs, often with timber cornices and dormer windows - these populated streets such as Aungier Street, Capel Street and Dame Street during the 1600s, some of which still survive behind altered facades. They featured heavily carved, chunky staircases, massive chimneybreasts and exposed beams to their interiors. After the accession of William of Orange to the throne in 1689, curvilinear, gable-fronted houses became fashionable, often with distinctive cruciform shaped roofs, which became especially prominent in Dublin, Limerick, Waterford and Drogheda where they were commonly known as ‘Dutch Billies’. In Dublin, the style became so pervasive that most merchant and speculative housing built in the city until 1750 conformed to this aesthetic. References to gabled houses in the Liberties belie the breadth and strength of the gabled tradition that flourished on most new streets during this time, irrespective of house size or status of occupants, until the classiciing influence of Sackville Mall and Henrietta Street altered the course of Dublin's street architecture. Interiors were commonly timber panelled and decoration tended to be restrained, with plain ceilings and heavy cornices which were often of timber. Most gabled houses featured a distinctive 'closet return' - a small room on each level projecting from the rear rooms of the house. The Palladian style was influenced by the work of a number 16th-century Italian architects, but most particularly that of Andrea Palladio, which looked back to ancient Roman classical buildings for inspiration. Andrea Palladio’s widely circulated book Quattro Libri dell’Architettura (The Four Books of Architecture), is perhaps the western world’s most famous architectural treatise. It was particularly influential in the British Isles where it was adopted by architects and enthusiasts such as Colin Campbell, William Kent and Lord Burlington. The Palladian style was introduced to Ireland in the 1720s, and its first great exponent here was the architect Edward Lovett Pearce who designed the Parliament House on College Green in Dublin as well as houses such as Bishop’s Palace in Cashel and Bellamont Forest in Cavan. Following Pearce’s death in 1733, his assistant, Richard Castle became the most fashionable architect in Ireland, designing houses such as Russborough in Wicklow and Leinster House, the modern seat of the Irish parliament. Palladian buildings are recognised by their strict adherence to symmetry and four-square proportions. They are also know for the distinctive size of their windows which were often relatively small, leaving large, almost severe expanses of wall and, in grander houses, the use of pediments and classical columns. The principal rooms of a house were commonly raised on a basement, giving them an air of dignity and elevating them above the service rooms such as kitchens and pantries. In the case of country houses, service buildings and stables were often accommodated in wings, placed to either side of the main house, a pattern which Palladio first employed for villas in the Venetian countryside. Grand interiors were initially decorated with bold geometric plasterwork and joinery, before morphing into a more florid, rococo style in the 1750s. By the middle of the 18th century, tastes in classical architecture started to change. Some architects began to cast off the Palladian straitjacket, reacting against the rigidity and heaviness of its brand of classicism. This coincided with a period of international exploration and archaeological discoveries. Travellers on ‘The Grand Tour’ – many of them architectural enthusiasts – began to explore and record the classical buildings of Greece and Asia Minor. On their travels they encountered classical buildings that were markedly different to those they saw in Rome and which incorporated details, mouldings and classical orders not seen before. At the same time, archaeological discoveries in Rome and Pompeii revealed previously unknown examples of Roman decoration where entire rooms ornamented with moulded plasterwork and frescoes were revealed beneath centuries of soil and ash. These discoveries provided architects with a whole new vocabulary of architectural and decorative details to work with. The most influential architects of this period were William Chambers, Robert Adam and, perhaps to a lesser extent, James Wyatt, all of whom also designed buildings in Ireland. 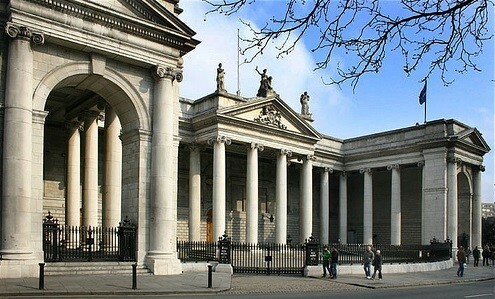 James Gandon, Thomas Cooley and Thomas Ivory were the most well known architects working in Dublin and who significantly advanced Irish neoclassicisim in the late 1700s. Ultimately, it is the industrious innovator, Robert Adam, who is most associated with architecture and design of this period. 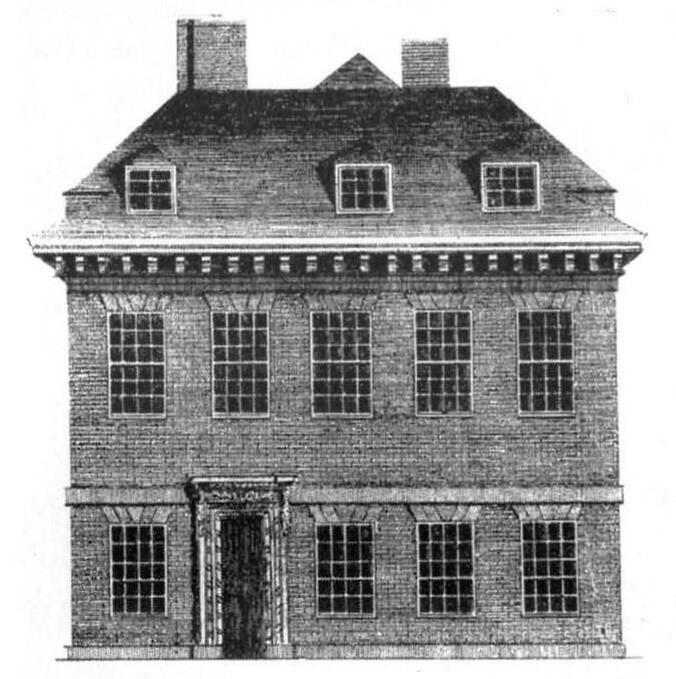 While accepting the classical traditions of symmetry and proportion, Adam sidestepped the rigid Palladian rule system. He and his many followers reinterpreted the old classical forms, making columns more slender, applying pilasters as decorative features without the need to serve structural functions, and incorporating new ornamental motifs of great delicacy and refinement that were influenced by contemporary excavations at Pompeii and Herculaneum. 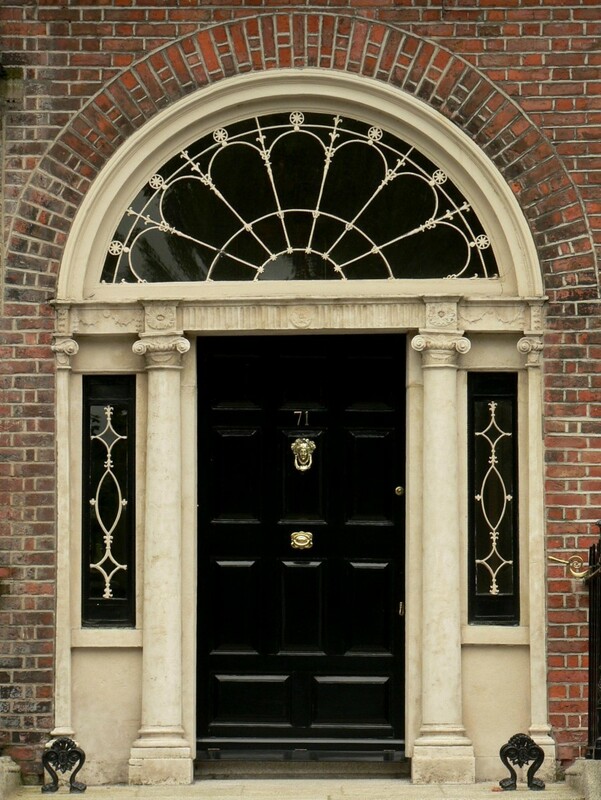 In domestic architecture, doorways were flanked by pilasters and surmounted by wide fanlights with delicate, lead glazing bars - creating the iconic Dublin doorcase - while windows were made taller and wider. It was also during this period that the light and delicate style of decorative plasterwork flourished, coinciding with a fashion for coordinated interior design. While known as the Adam style, it was usually executed by Irish artisans such as the stuccodore Michael Stapleton and a host of lesser known plasterers who essentially built the Georgian city. The end of the 18th century, following the French Revolution, was a period of significant social, industrial and aesthetic change in Ireland, Britain and across much of Europe. In architecture, this was manifested in the adoption of a much wider range of architectural styles – ‘a battle of styles’ in effect, with a new-found interest in the picturesque qualities of Gothic architecture as well as a continuing taste for classical architecture. In the classical tradition, neoclassical forms and patterns continued to be used, but in an increasingly chaste manner with unnecessary ornament pared back. Classical styles, influenced by ancient Greek architecture, became increasingly popular, giving rise to what is known as the Greek Revival. 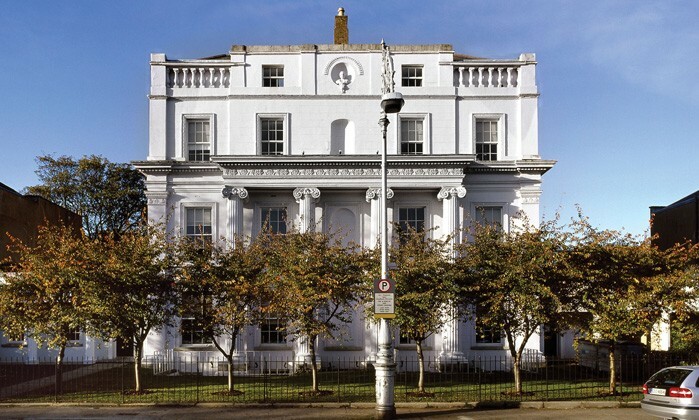 This was characterised by the use of shallower pediments, weighty Greek Doric columns and the refined Greek Ionic classical orders. In the case of most houses, the use of classical columns and orders tended to be reserved for doorcases. Only the grandest mansions and public buildings were provided with great stone porticos modelled on ancient Greek temples such as the Parthenon. Instead, the majority of Regency houses lack formal classical features and display an elegance and sense of informality characteristic of the age of Jane Austen. With a new interest in gardening and landscape, windows were often made larger. Wyatt windows were particularly popular together with bays and bows, while French doors leading on to a lawn or veranda were the height of fashion. The availability of large Welsh slates made it possible to lower roofs which often had deep, overhanging eaves, and walls were given smooth, ‘stucco’ renders. Side by side with a taste for classicism was one for Gothic architecture. This arose in part from the rage for novels – commonly chivalric romances – set in theatres of crumbling abbeys and castles. At the same time, the Napoleonic wars raging across Europe prevented travel to the continent and this caused students of architecture, as well as their patrons, to look to the old abbeys, monasteries and castles of Britain and Ireland for opportunities for learning and exploration. Gothic architecture was now seen as a national architecture and it quickly became fashionable to build elaborate mansions in the Gothic or castle style and later, the Tudor style. More modest houses could also be made Gothic by the use of pointed arch windows and doors, intricate window tracery, hood or label mouldings over windows and battlemented parapets and porches. By the 1820s, there was a taste for building houses in the ‘olde English cottage’ style, with gabled roofs, tall chimneys, carved bargeboards, porches and verandas draped with creepers and windows with mullions and small, leaded panes of glass. Classical forms also continued to be fashionable. A new ‘Italianate’ style emerged which used classical motifs in a free-handed manner with pediments over windows, balustered parapets and brackets below the eaves of roofs. Queen Victoria’s accession to the throne in 1837 coincided with a remarkable period of industrial innovation. The development of railway networks allowed people to travel comfortably and relatively cheaply, making mass tourism possible for the first time. The railways also made it possible to transport building materials far and wide. Together with the industrialised production of stone, brick, cements, glass and slate, builders and architects were provided with an increasingly varied choice of materials that are such a characteristic of Victorian buildings. Travel gave architects and their patrons the opportunity to experience the varied French and Italianate forms of Gothic architecture as well as the continent’s great classical buildings. Nevertheless, native British styles continued to be widely popular, in part through the publications of Augustus Welby Pugin. Pugin was one of the first to treat the Gothic style in a serious way, insisting that any ornament had to serve a function and be a product of a building’s structure, not merely an overlay applied as decoration. However, many houses in fact continued to be designed in a style that changed little from the Regency period with simple, rendered facades and vertical proportions to door and window opes. Gothic forms, where used, tended to be somewhat watered down and Gothic details were often confined to pointed arch doorways and, to a lesser extent, windows. It was during this period that mass-built, suburban housing emerged for the first time, with rows of developer-led terraced and semi-detached houses becoming commonplace. These utilised newly available, mass-produced and often varicoloured brick that gradually supplanted the softer, handmade brick that had been used throughout the 18th and first part of the 19th centuries. This allowed houses and commercial buildings to be designed with greater flamboyance, often with Renaissance-inspired decorative work around entrance porches, windows, cornices and chimneys. As large panes of glass became available at affordable prices, small-paned, ‘Georgian-style’ windows gave way to sashes glazed with single panes of glass. The long tradition of ornamental fanlights declined entirely owing to the taste for plain, glazed fanlights. The distinctive Edwardian style came into existence from about 1890, several years before King Edward VII actually came to the throne. 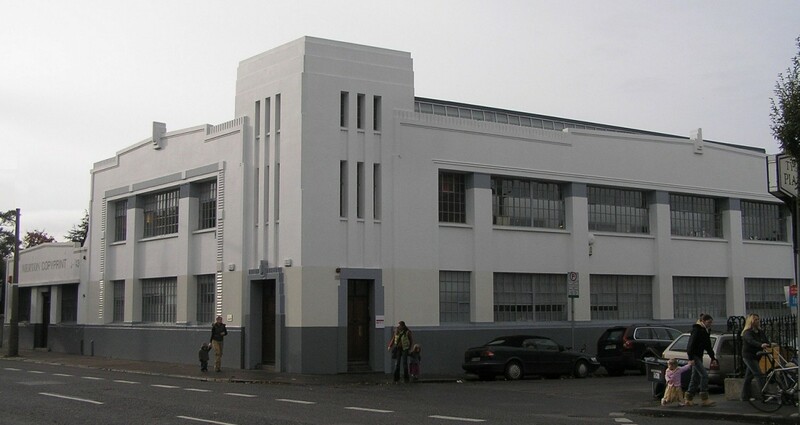 A major influence was the Arts and Crafts movement which developed as a revolt against the perceived vulgarity of many Victorian houses, crammed full of cheap, mass-produced furniture and fittings, made possible by the rampant industrialisation of all aspects of Victorian building, furnishing and decorating. The movement advocated a return to the use of craft-based skills and local materials in an honest, simplified manner that avoided the unnecessary ornamentation common in Victorian furniture and decoration. Ironically, the Arts and Crafts movement generated a loosely picturesque style that was quickly adopted by speculative developers and mass producers of furniture and decorative objects. In Ireland, the Arts and Crafts style usually manifested itself in the use of oak-boarded doors, leaded casement windows, open timber porches, terracotta roof tiles and wall cladding, and gabled roofs with overhanging eaves. There was also a revived interest in the architecture of the Queen Anne and the Adam style at this time. This saw the use of brick walls with contrasting pale stone and terracotta detailing, small-paned windows instead of plate glass sash windows, Georgian-style fanlights and Adamesque neoclassical plasterwork and chimneypieces. 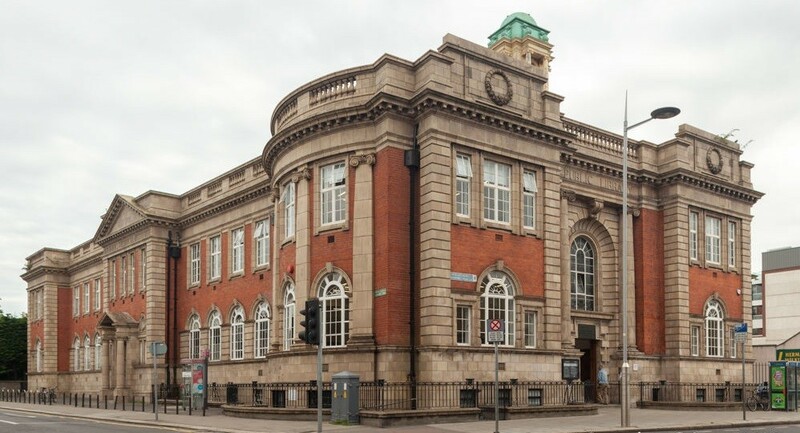 Buildings such as Rathmines Carnegie Library (opposite) and Government Buildings, Merrion Street are good examples of the classical revival. Between the two world wars, many buildings continued to be built in a distilled version of the Edwardian style, with timber casements, bay windows, tiled roofs and walls with contrasting brick, terracotta tiles and pebble-dash finishes. A small but precious number were designed in the Art Deco and Modern Movement styles which tended to be much more popular in England and on the continent. These buildings are immediately recognisable with their smooth white walls, flat roofs, balconies, steel windows (often with distinctive horizontal glazing bars) and corner-set windows. Surprisingly, they were generally built in a traditional manner with solid, brick walls and timber-framed floors and roofs. However, by the late 1930s, reinforced concrete was increasingly used for flat roofs and balconies, mass-concrete for the construction of walls, and later, cavity wall construction was developed which is now a conventional form of wall construction. International modernism first burst confidently onto the scene in Dublin in the 1940s with the construction of the pioneering Busáras and Dublin Airport terminal. However, it was not until the opening up of Ireland's economy in the 1960s that the style flourished in the form of speculative office building, which advanced during the 1970s and the 1980s in tandem with the vagaries of the property market. 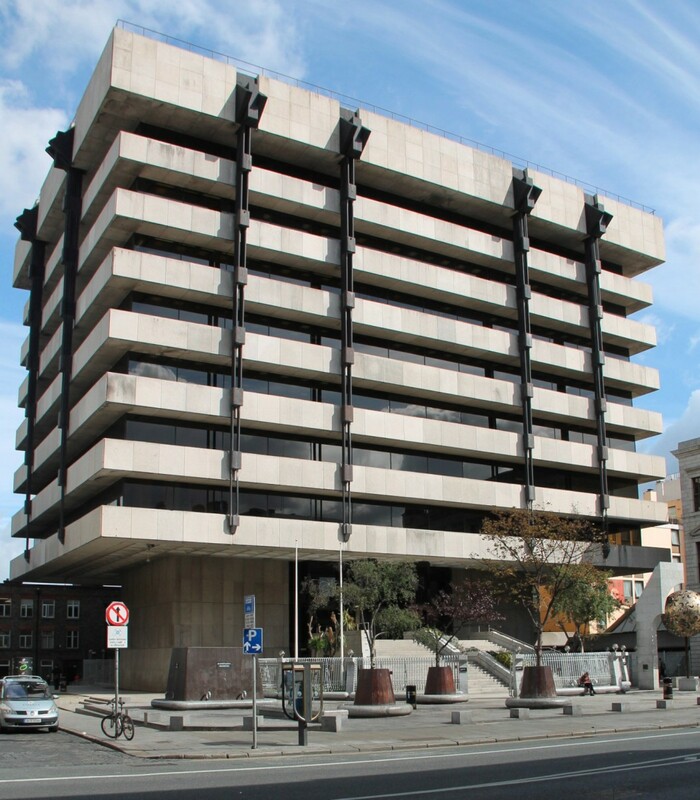 Many buildings erected at this time were purpose-built corporate headquarters, such as the former Bank of Ireland offices on Baggot Street designed by Scott Tallon Walker (now Miesian Plaza) and the AIB Bankcentre by Robinson, Keefe & Devane. These were often designed within the framework of international moderisim set by architects such as Mies Van Der Rohe. However, many other office buildings were cheaply built, speculative affairs exploiting the economies of mass concrete, steel and proprietary cladding systems. The strong sculptural form of many of these buildings is beginning to be appreciated at a time when they fate increasingly hangs in the balance with the pressures of redevelopment. Already, a number of 1970s office buildings on streets such as Molesworth Street and Nassau Street have already been replaced with new 'Grade A' office buildings that conform to new standards of amenity, flexibility and energy efficiency.